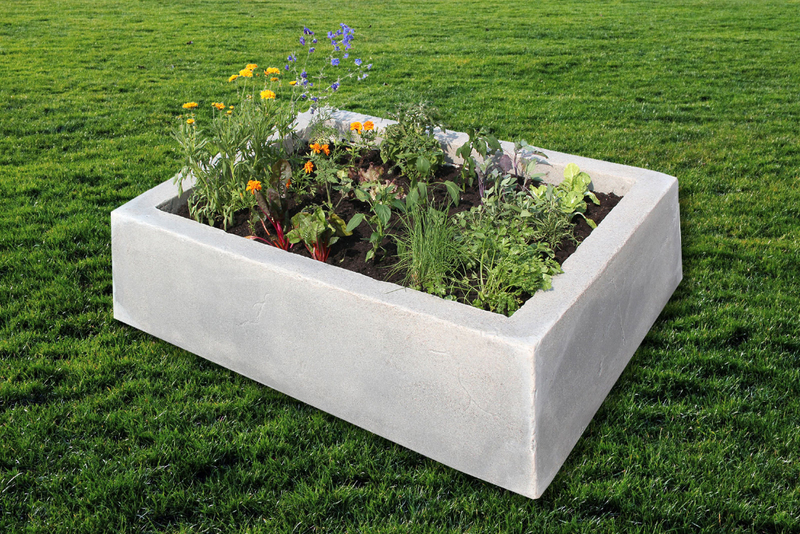 Model 210 | EHS Sales Ltd.
Usage: Use as a Garden Box or Water Basin. Garden Box- simple one piece design,16″ depth for root crops or plants. Elevates your garden making it easy on your back and knees. Durable, impact and weather resistant construction. Water Basin – self contained water feature. Easy set up and maintenance with an 85 gallon capacity. Constructed of fish safe material. Description: Large rectangular box which can be used with the 211 water spillway creating a wonderful waterfall and the soothing sound of running water.